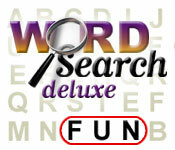 Word Search Deluxe is rated 1.9 out of 5 by 15. Rated 5 out of 5 by deathsjennesa31 from Fun Word Game Just love all word games and loved this one. Loved loved loved it. Rated 4 out of 5 by rricci from Not too bad. I saw some reviews here that said there are no puzzles. UNTRUE! I haven't played it much, just 11 minutes, but not too bad. One thing though, it looks like the download new puzzles feature isn't working. 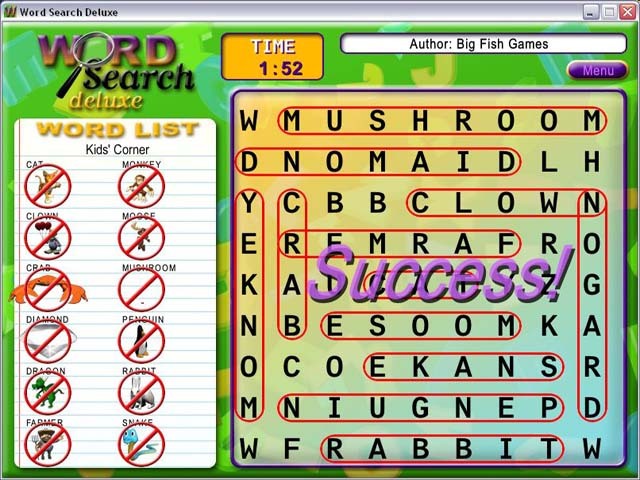 Rated 2 out of 5 by teddybear92179 from Ok, I guess :( I was really excited to download this game because I LOVE word search puzzles then, I find that the only puzzle I can do is the kids puzzle with the little pictures next to it because the adult puzzles are not there! Really bummed out! Rated 1 out of 5 by sharmonnina from Don't waste your time This is just a horrible game. There are no instructions for people that never played before. I only played part of the demo and gave up. 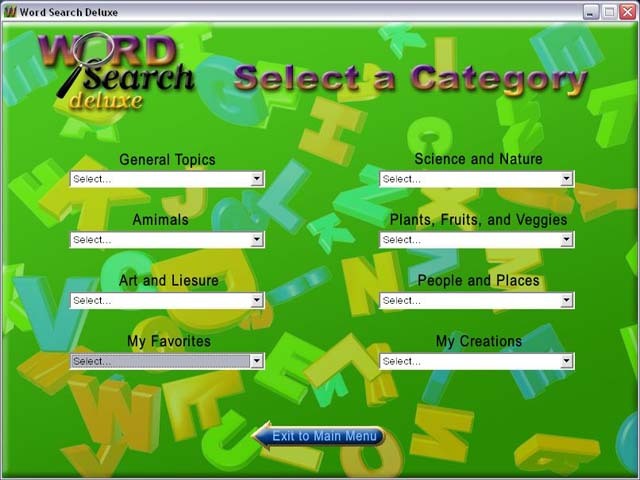 I have played word search games for over 50 years. I had the words beach, beach ball & long beach. I circled just beach instead of beach ball and I couldn't go back and circle the ball. This meant I couldn't finish the game. Rated 1 out of 5 by TucsonWoman67 from Awful This game had so many technical issues, I can't list them all. I couldn't even get the game to exit. Rated 1 out of 5 by Nstitches1 from Word Search Deluxe is fun...NOT!!!! Word Search Deluxe is not fun!! There are no puzzles listed in any of the categories unless you go to the kids area and it has only one puzzle. My 5 year old grandson completed it in 10 minutes! I think we should either get refunds for our money or you guys need to completely revamp the game! Rated 1 out of 5 by rramig from Unfinished game? There are no puzzles to select from. It seems like it is unfinished.